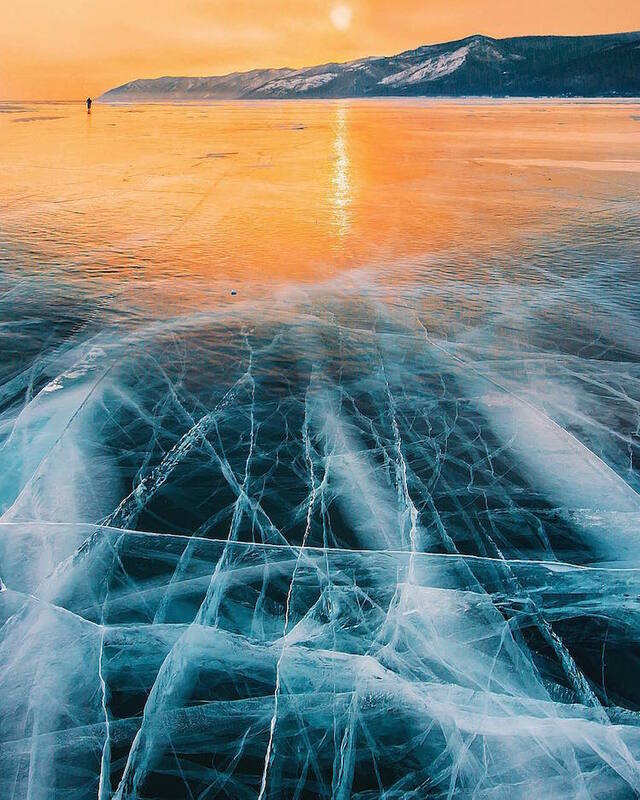 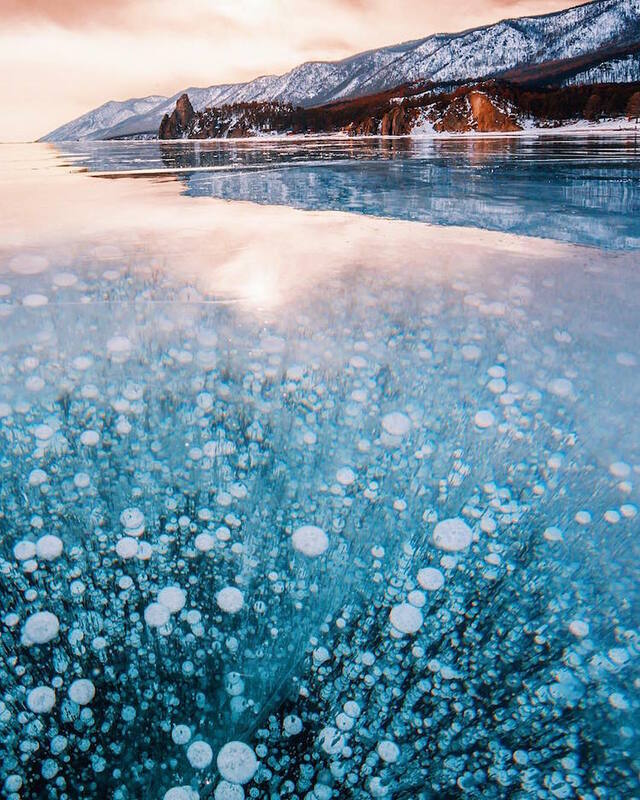 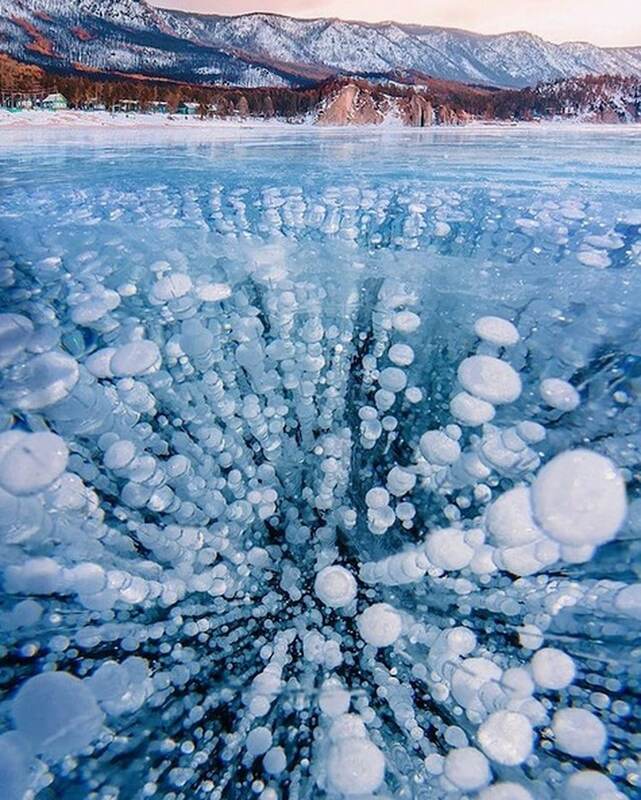 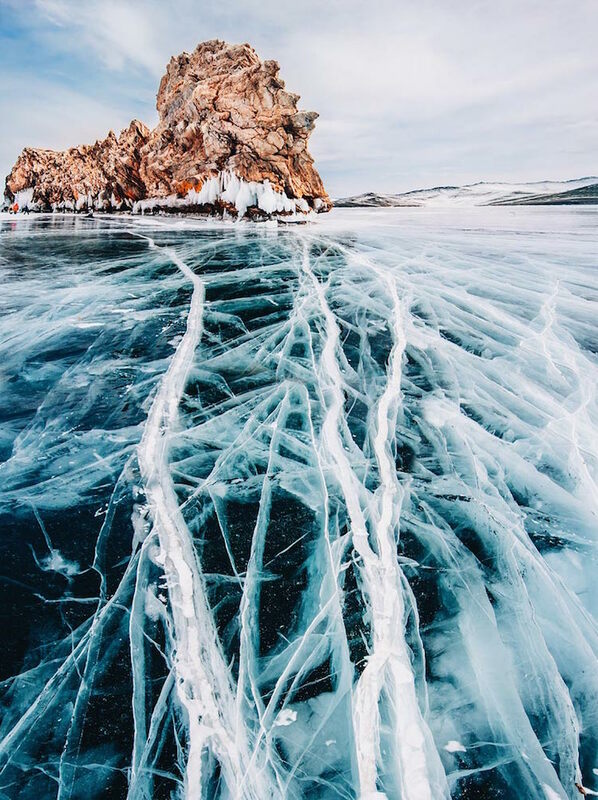 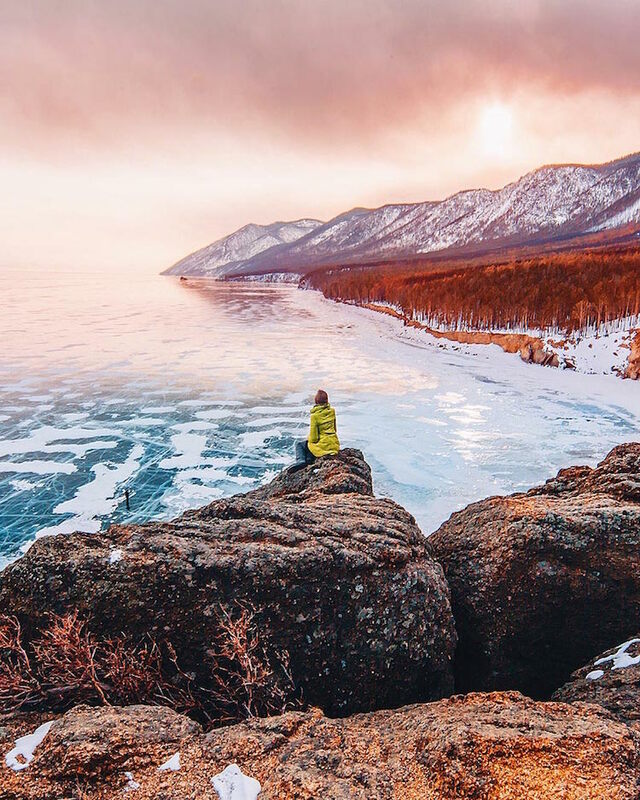 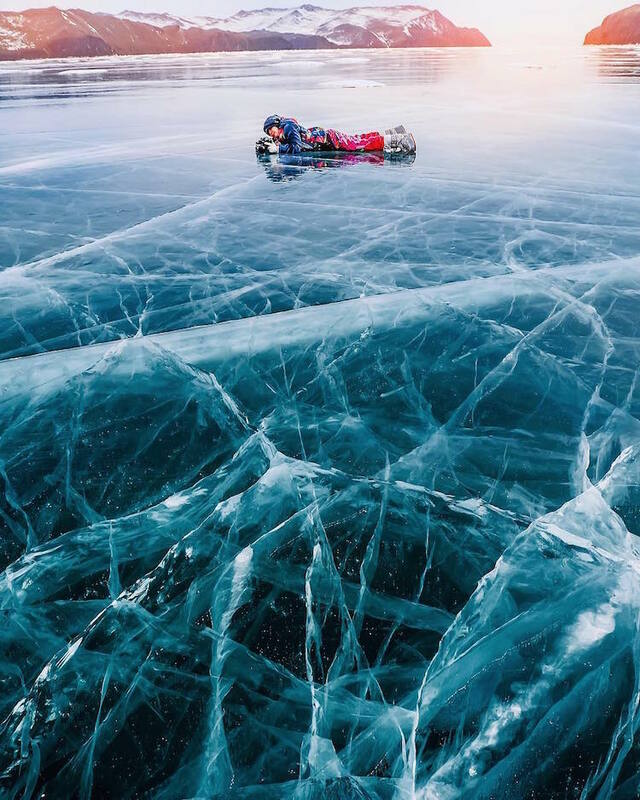 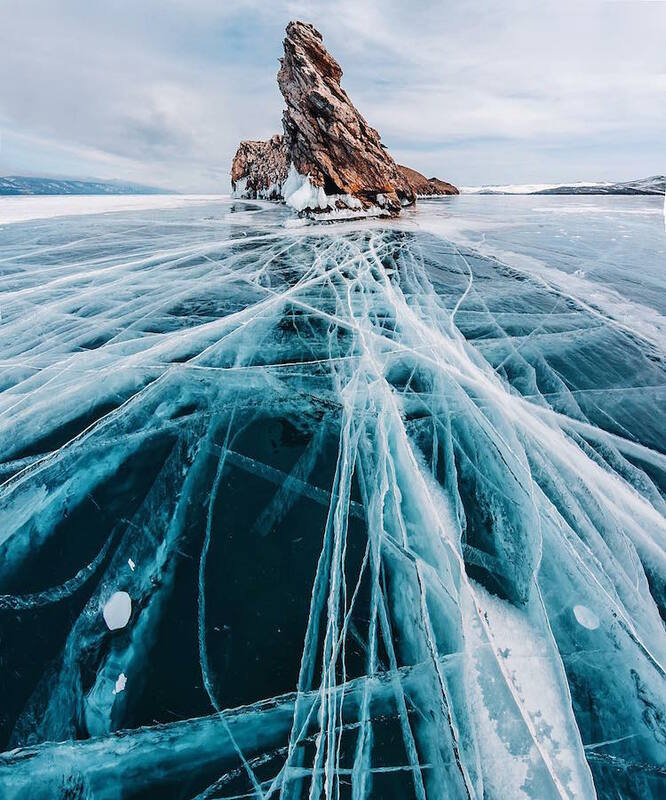 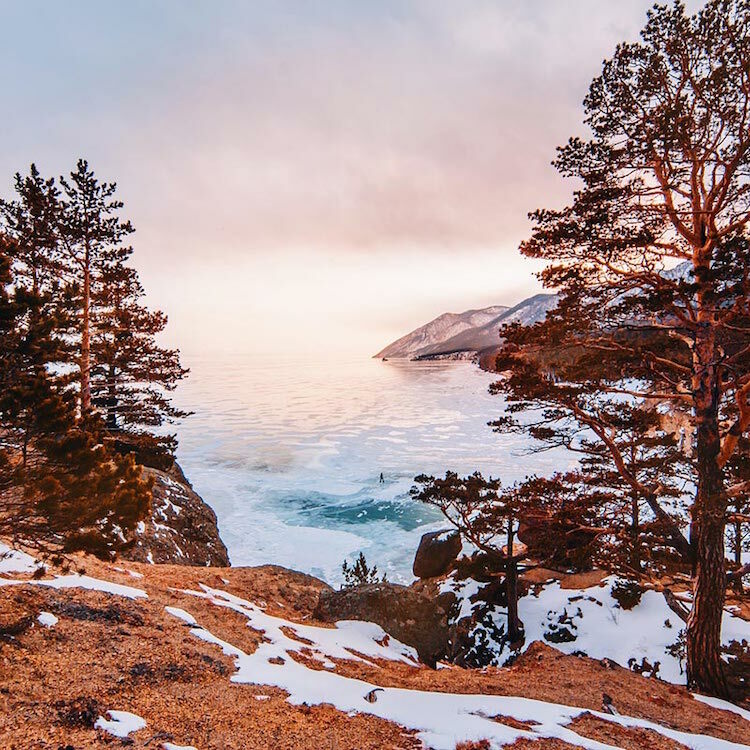 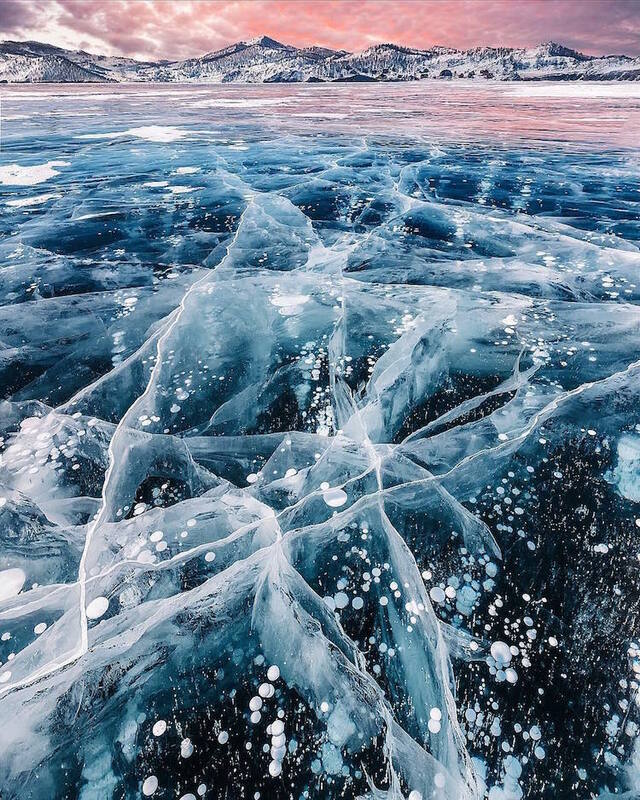 Moscow-based photographer Kristina Makeeva traveled to Lake Baikal in southern Siberia where she captured the beauty of the largest freshwater lake in the word. 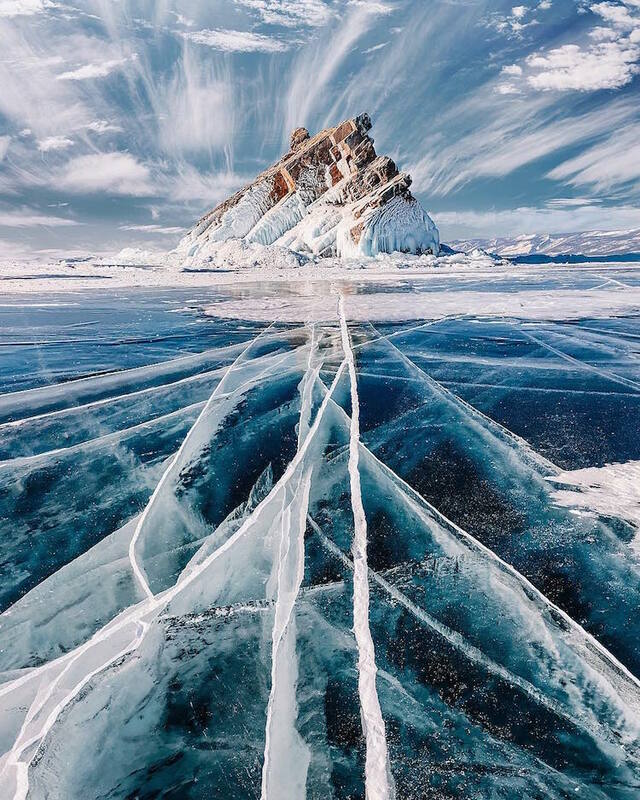 At around 600 kilometers long (373 miles), the vast, mirror-like surface features layers of transparent ice that has cracked and bubbled, leaving incredible, organic patterns and frozen formations. 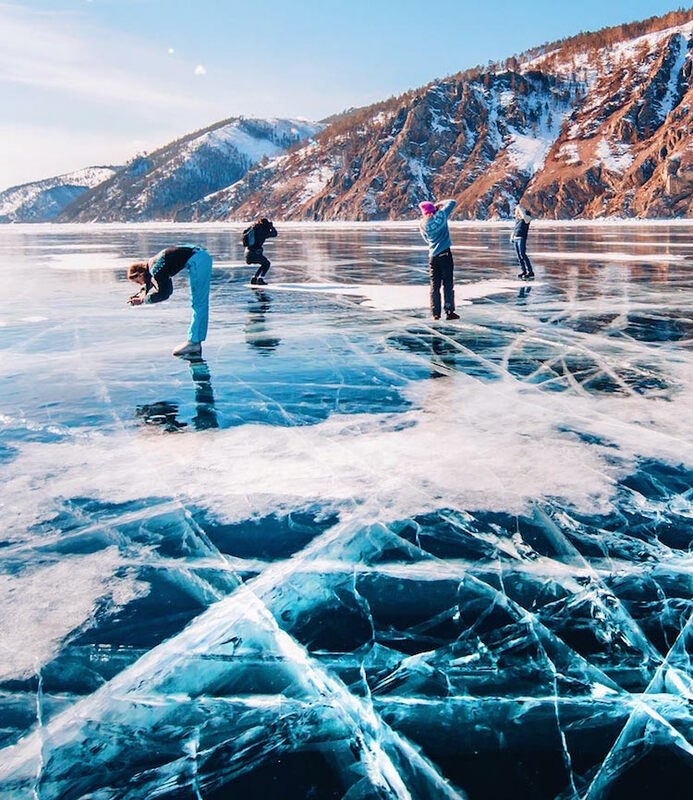 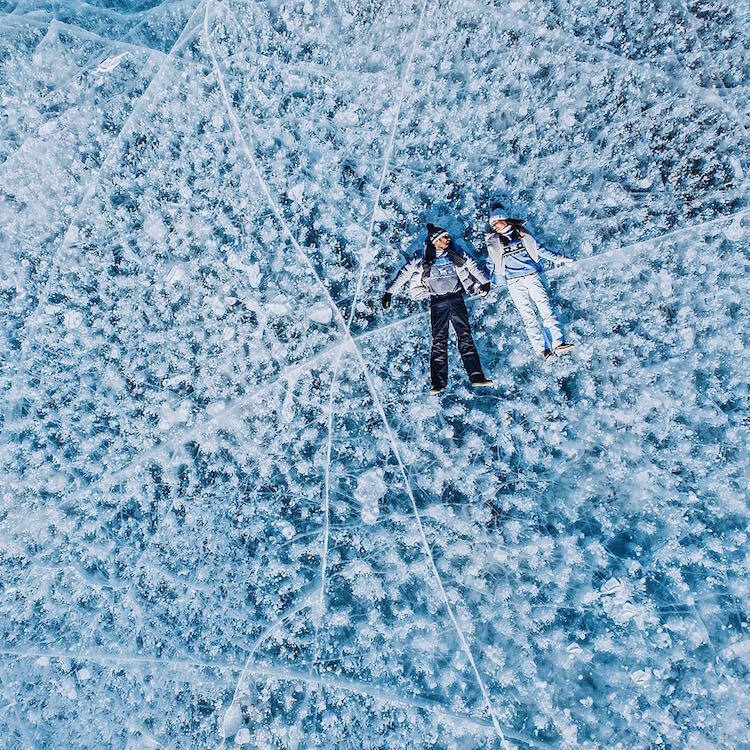 With icy depths of 5,387 feet (1,642 meters) in certain areas, the freshwater lake’s frozen surface can withhold the weight of people and even cars. 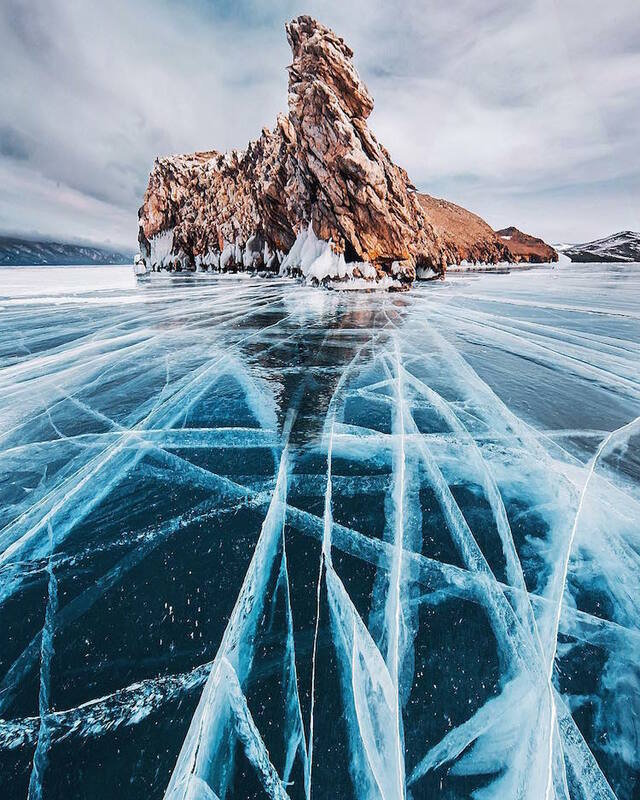 Known for its crystal-clear water, visitors can see into the green-blue abyss, where fish, plant life, stones, and various objects shimmer under the thick layer of ice. 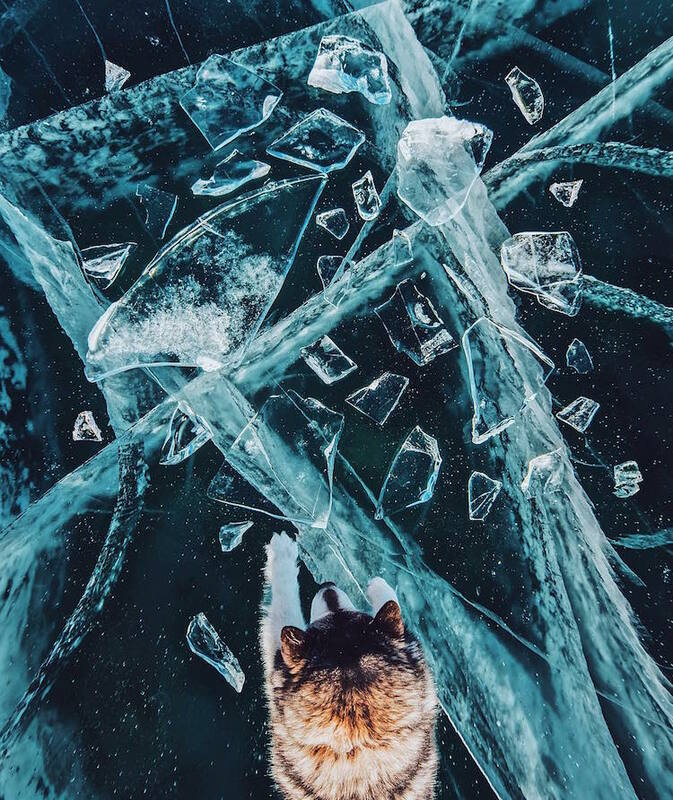 Shooting in an area with below-freezing temperatures, Makeeva came to the quick realization that many cameras could not cope in such frosty conditions, often only lasting around two hours before the batteries would give in. 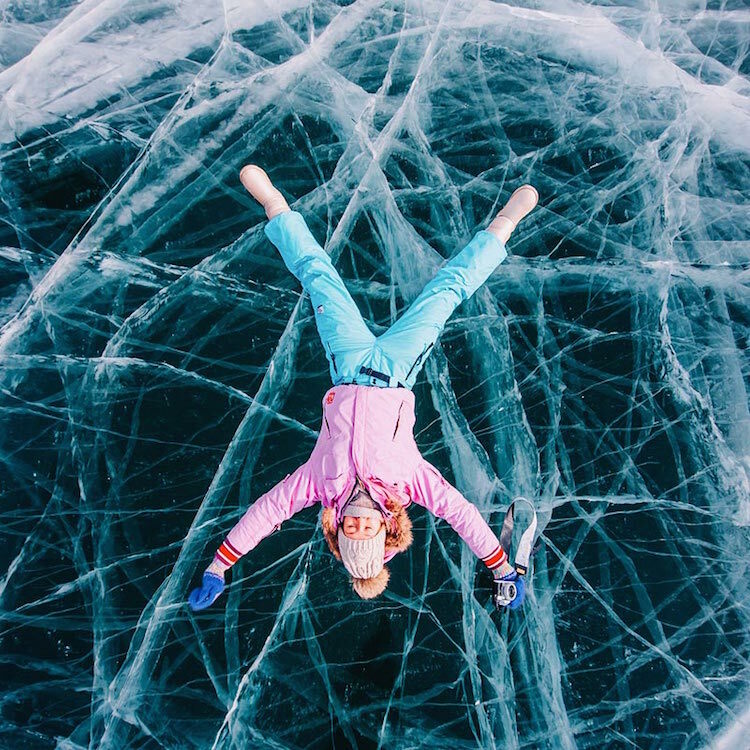 You can find more of Makeeva’s incredible images on Instagram. 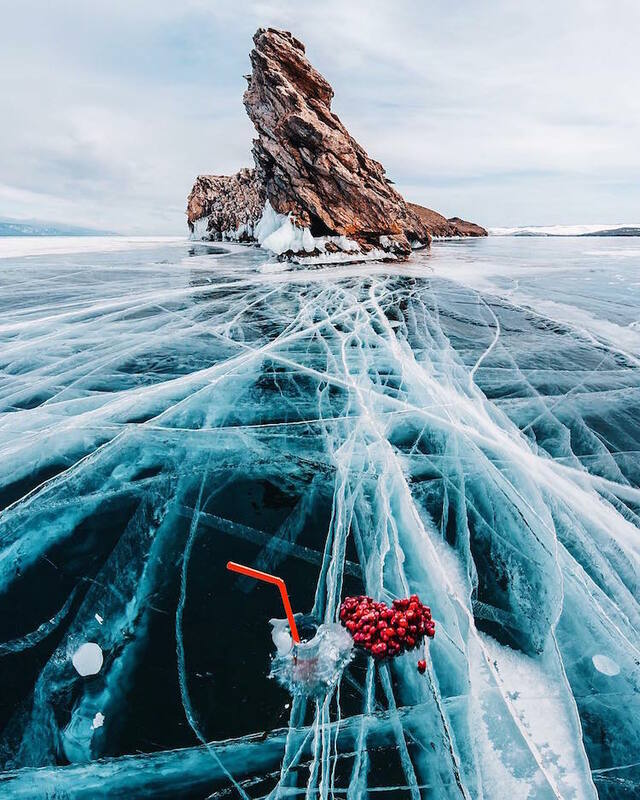 Moscow-based photographer Kristina Makeeva traveled to Lake Baikal in Southern Siberia where she captured the beauty of the largest freshwater lake in the world. 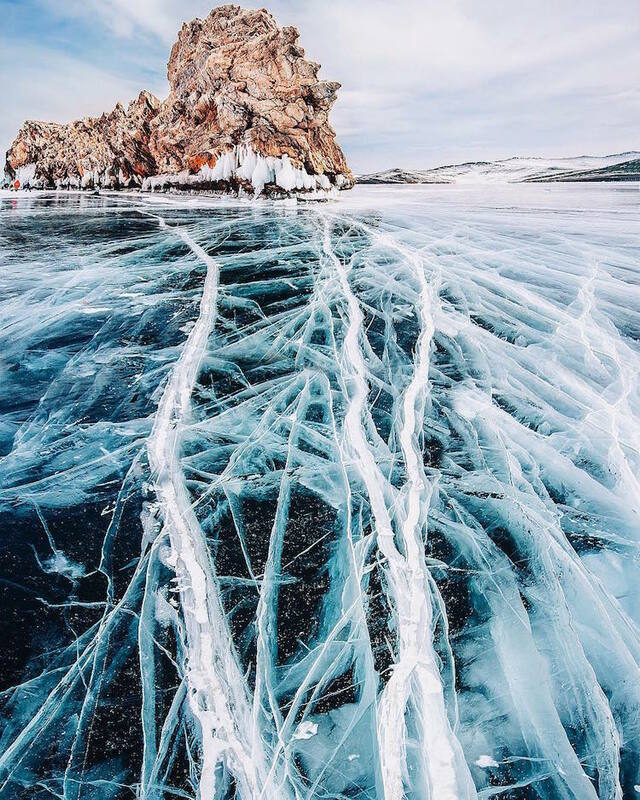 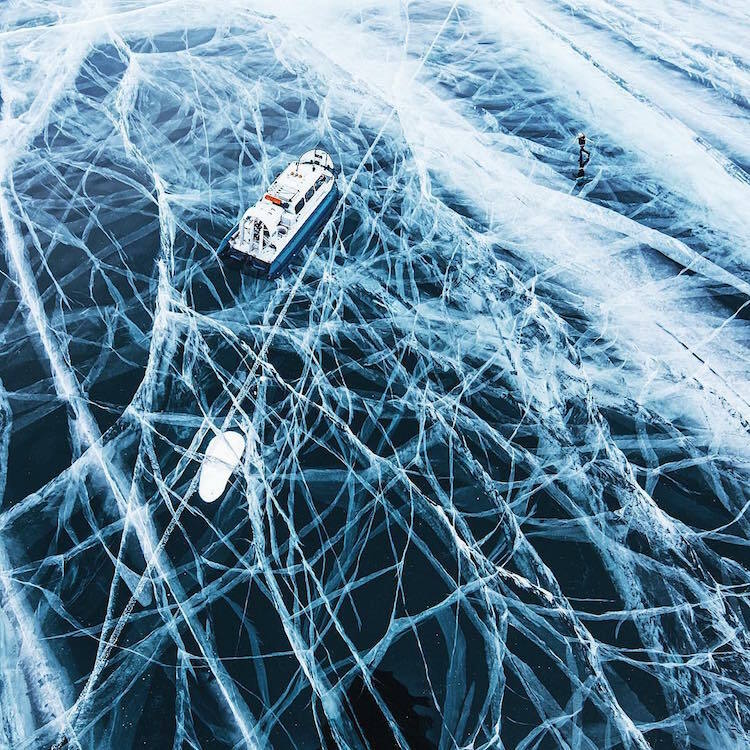 Around 600-kilometers-long, the vast, mirror-like surface features layers of transparent ice that has cracked and bubbled, leaving incredible, organic patterns and frozen formations. 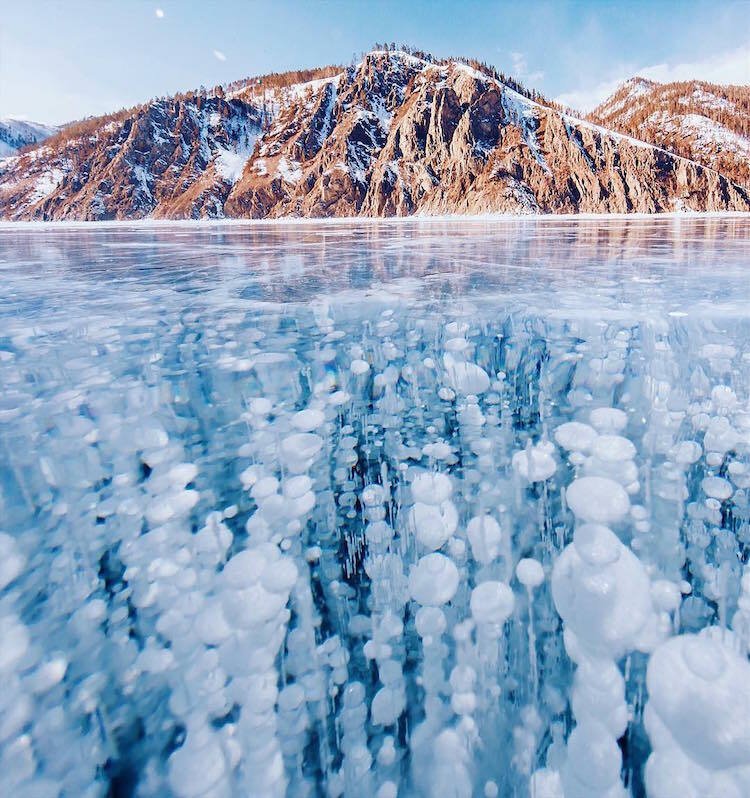 With icy depths of 5,387 feet (1,642 meters), the lake is known for its crystal-clear water. 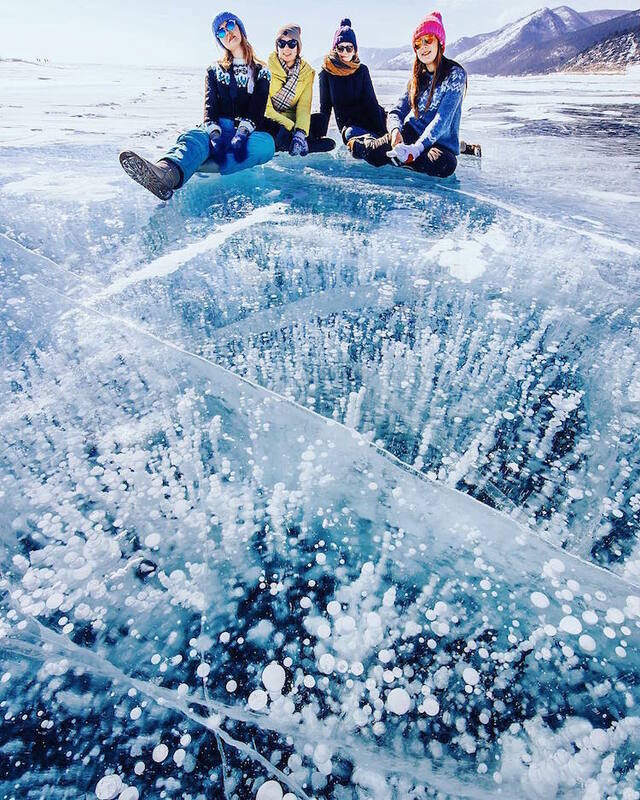 Visitors can see into the green-blue abyss, where fish, plant life, stones, and various objects shimmer under the thick layer of ice.